Summary: very strong cooking, some of it outstanding, with many locally-sourced (apparently foraged but this wasn’t made very clear) elements. Not conceptual or modernist at all, but also not traditional or fusty. 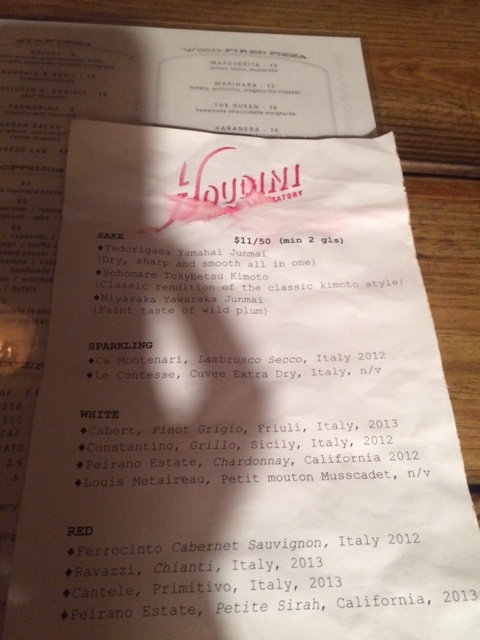 The service was excellent, and the wine good. Would get over there quickly. A new-ish opening on ever-trendier Charlotte Street, across from the best mortadella panino (Italia Uno), and smack in the middle of the hipster twatville that is London’s advertising and PR district (Saatchi, et al). Bubbledogs’ premise is simple: a) one naturally feels like paying $11 for a hot dog, and b) having paid that much, the natural accompaniment would be a $50 champagne from small growers (no Dom Perignon here for the football set, then). And I thought the food scene in New York had gone a bit weird. 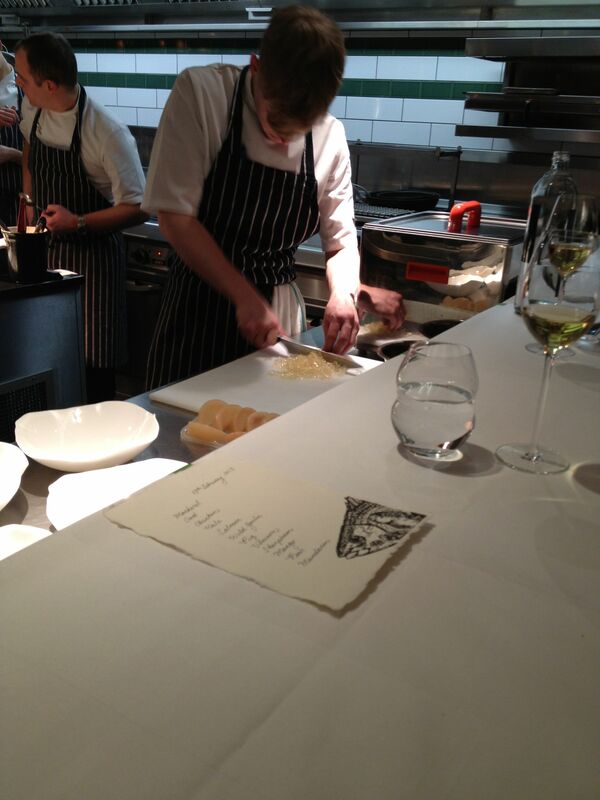 Anyway, in the back of Bubbledogs is something quite new for London: a tasting-menu only chef’s counter with perhaps 20 seats which looks over a well-appointed, and spotless, restaurant kitchen. The chef James Knappett and manager Sandia Chang run the staff of 2-3 assistants and 1 wine waiter efficiently, while remaining utterly charming. 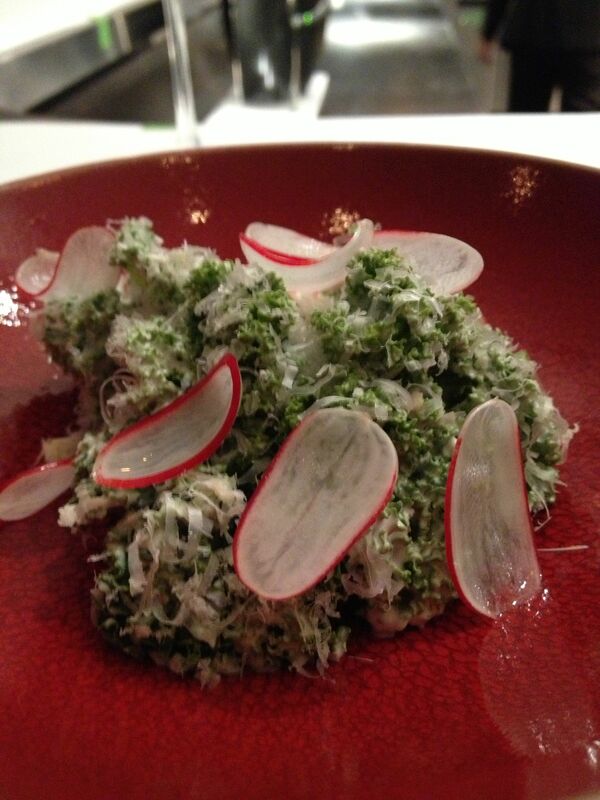 The concept exists in New York: Brooklyn Table or Momofuku Ko, amongst others. 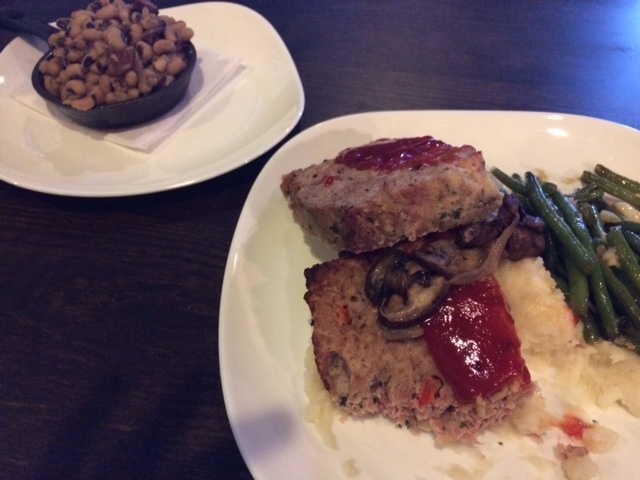 But where Ko seems to have this chefs-are-cooler-than-diners vibe, arms all covered in tattoos, waxing lyrical about rare-breed short ribs in Appalachia or something similarly obscure, Knappett and his staff are friendly, informative, and just normal. Tasting counters are sometimes just too intimate: Ko had some class A knobs dining there when I went in 2012, and judging from an online review of Kitchen Table (which was very complimentary of the food), there is the occasional bad customer night here also. 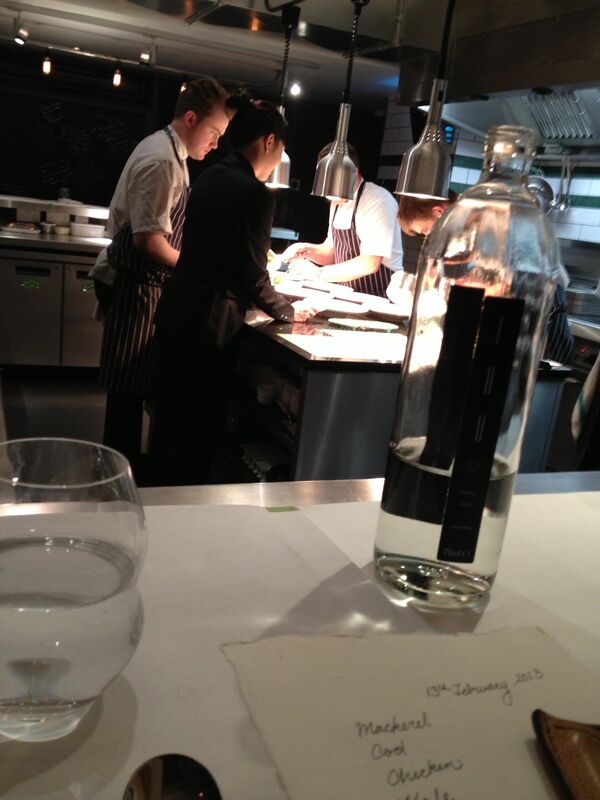 However, I was there the day before Valentine’s Day at the 6pm seating, and the customers were perfectly behaved. Chopping the meat gelatin for dessert ! On to the food and drink. The Negroni (at Bubbledogs’ bar) was lovingly prepared with posh gin, and much gentle stirring in a beaker. Unfortunately, it was over-flavoured (artisanal herbs in the gin I suppose), and I would happily prefer the humblest bar in Milan. The dining area was lovely, very industrial, with locked metal-fence cabinets storing wine. There is no evidenced of hot dogs, fries, or virtually any other food being prepared in the kitchen. In a homely touch, the steel counter had a white tablecloth attached to it with blue tape. Course 1: raw mackerel, shaved apples, and a granita made using Balfour wine from Kent. Super-clean flavour in the mackerel, well salted but not salty. The apple & granita was cooling and cleansing, but otherwise unremarkable. 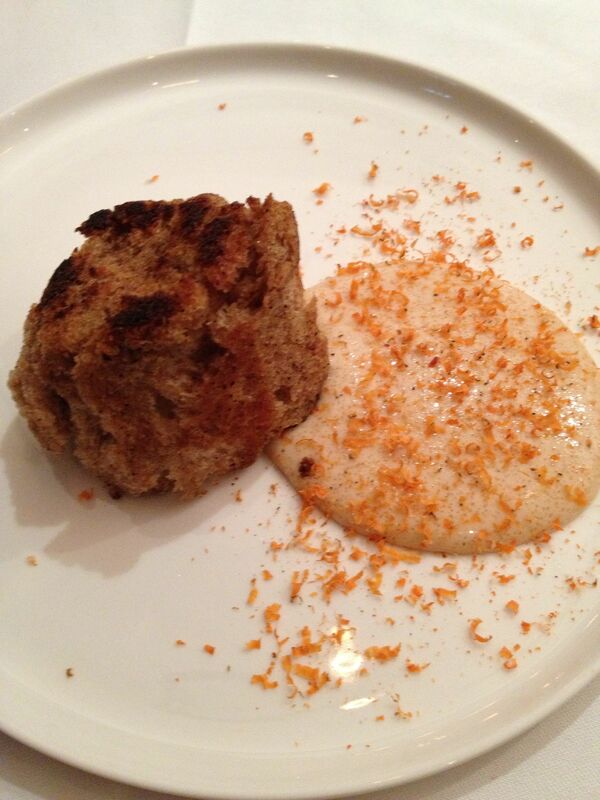 Course 2: cod roe dip, with scallop roe shavings, served with home-made rye bread. The bread was outstanding, particularly for being griddled in butter, it had that delicious meatiness of a great wheat/rye mix. Reminded me a little of the chewy bread at Moro or Cigala. The dip, simple as it seems, had a very complex and long aftertaste – pure umami. 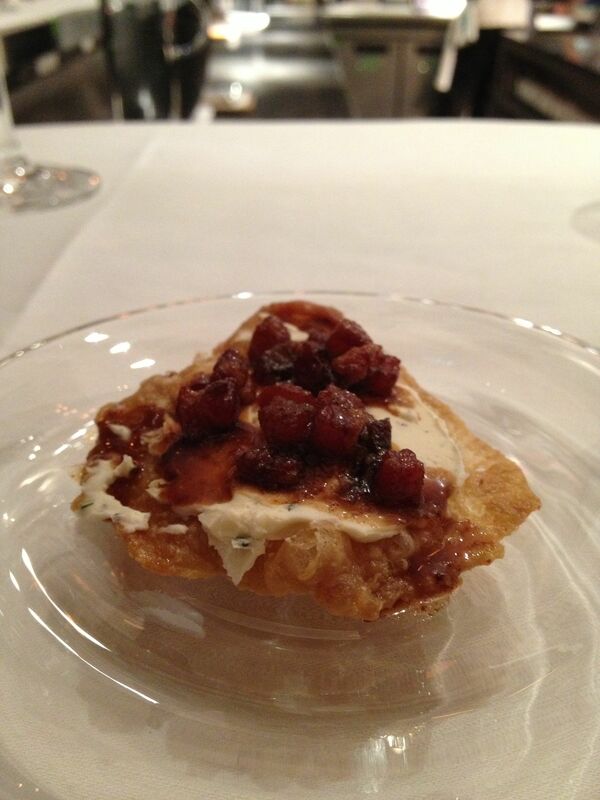 Course 3: fried piece of chicken skin topped with rosemary mascarpone & bacon jam. Sounds utterly gross. But was wicked good, tasted a little like India crossed with China via England. Zero nasty taste of chicken fat. Course 4: curly kale in anchovy dressing with shaved parmigiano, and breakfast radishes marinated in 12% alcohol dressing. Basically a reinterpreted Caesar, quite good, but not mind-blowing. Radishes are okay but not sure their taste or the alcohol dressing really add much, perhaps they cut through the rich dressing, but effect was marginal. 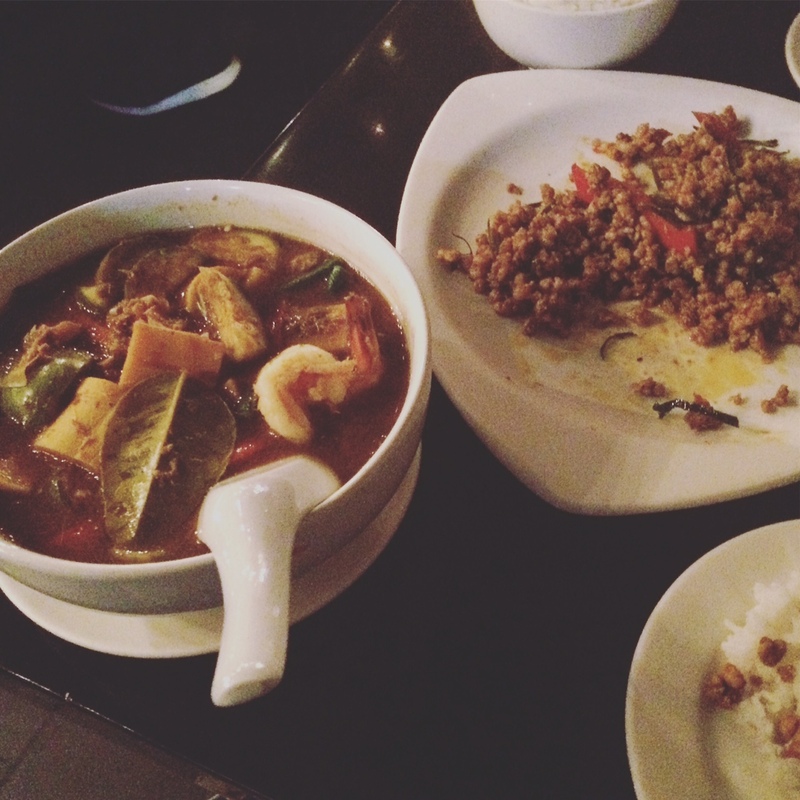 A nice contrast to the other dishes though. 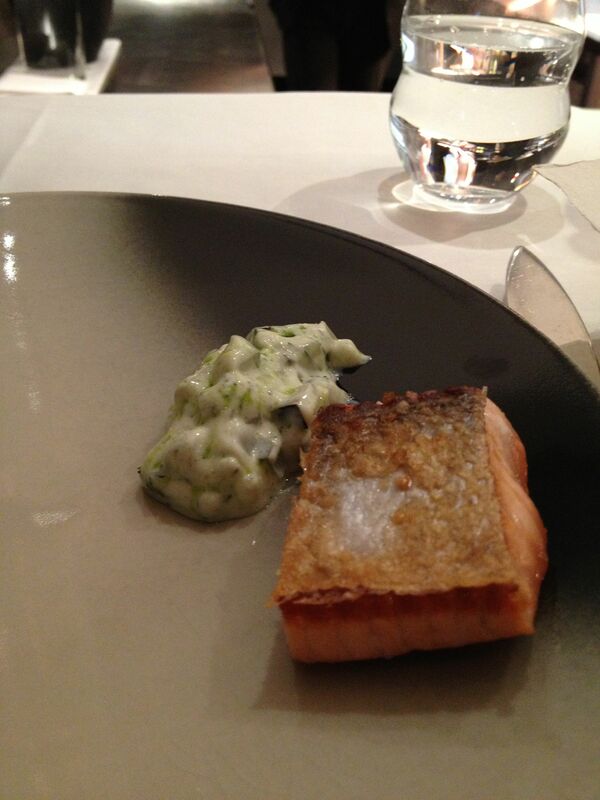 Course 5: salmon, crisped on the skin side, seared but mostly raw everywhere else and was served with a yoghurt, dill, cucumber, and bergamot dressing. 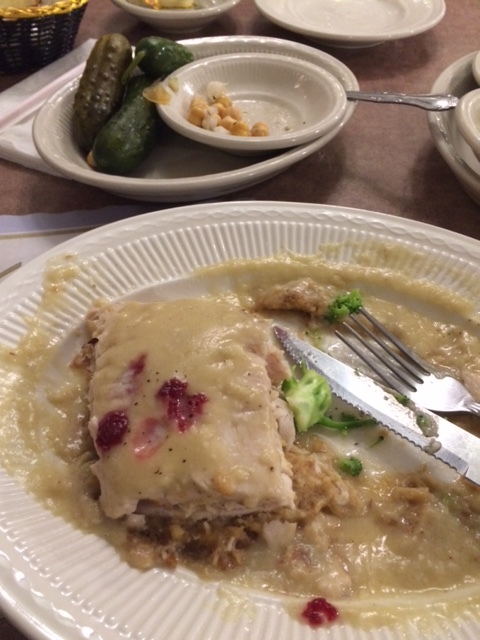 The sauce was lovely and floral, the fish was good but had the weird texture that seemed a bit like sous vide, and was just above room temperature. So, perfectly good, but not awesome. Course 6: home-made macaroni with Cornish wild garlic, in a brown butter and preserved lemon sauce. Absolutely the star – the pasta, which I understand were extruded using a bigoli machine, were tiny but densely textured and ridged. 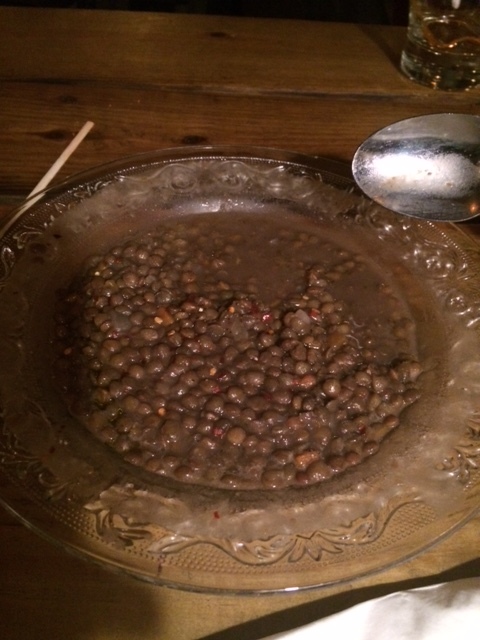 The garlic were incredibly fragrant without being overpowering, and the sauce with the little bits of preserved lemon was splendid accompaniment redolent of North Africa. 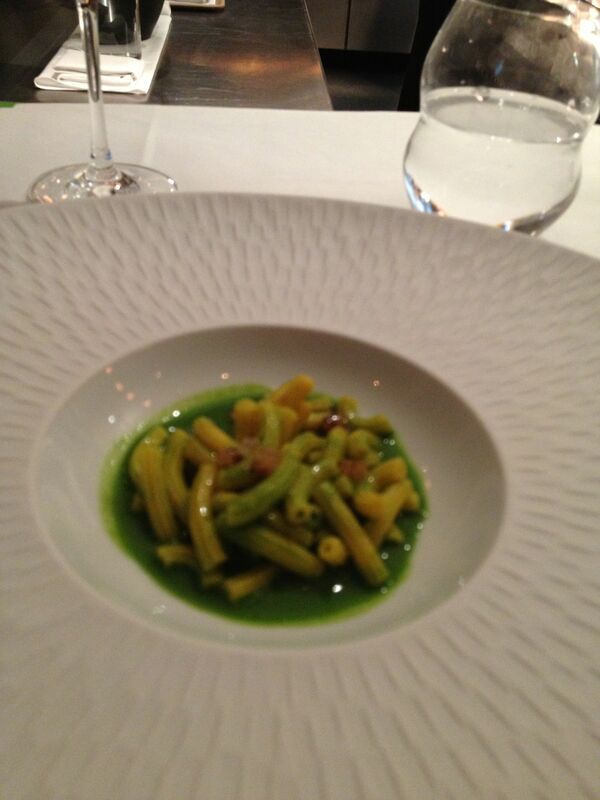 Perhaps it’s my own preference for carbohydrates, and the Italian reference, but this was my favourite dish. 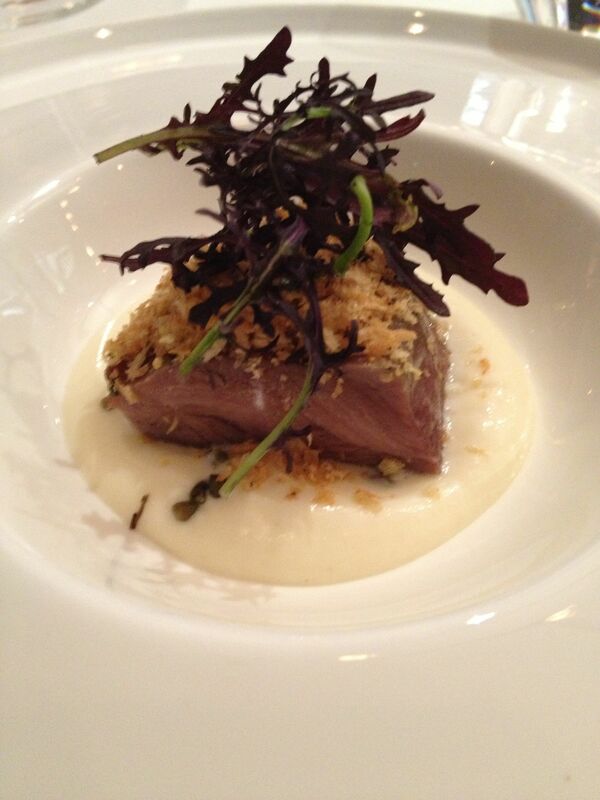 Course 7: pig cheeks on celeriac puree, elderflower capers the staff picked, and mustard leaves from London. 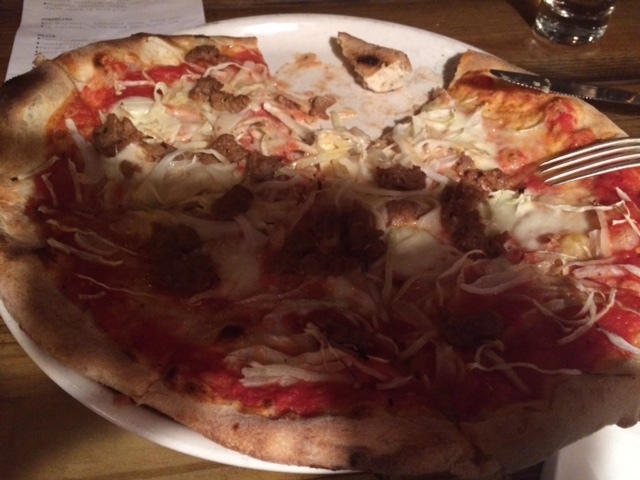 The cheeks had a weird chewy cheeky texture and were somewhat, but by no means excessively, pig-flavoured. 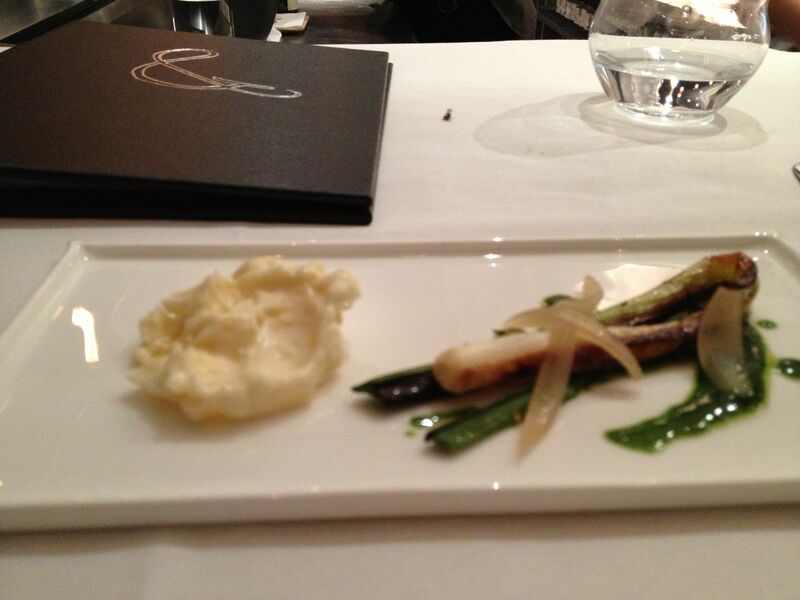 The celeriac puree was incidental, but the herbs and the mustard leaves lightened the dish. Again, great umami, and again a sense of cooking that really preserves moisture in the dish. 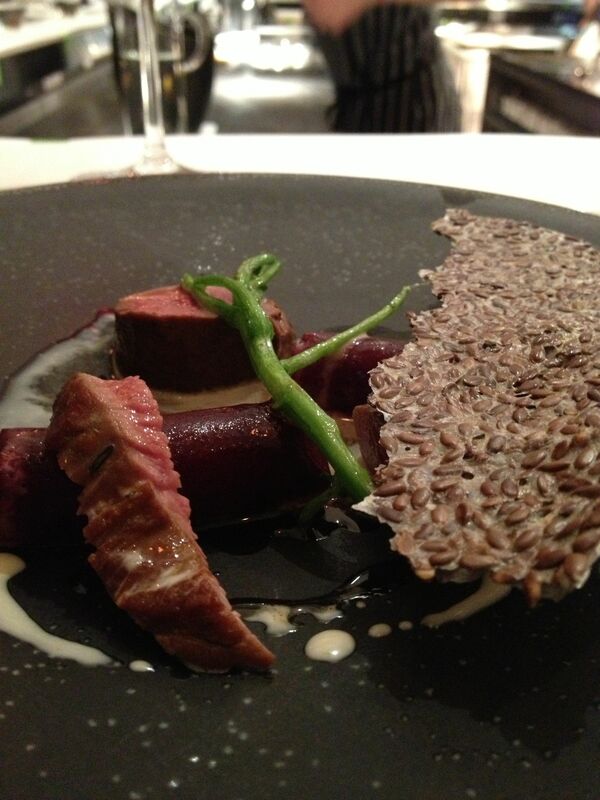 Course 8: meat of a young English roe deer with hay-roasted beets, watercress stems. Delicious, buttery meat with no gaminess, yet recognisably tasting of deer. The beets’ intensity had been toned down, and they were delicate and elegantly cut. The impact, or lack, of the hay-roasting was not evident, and the watercress stem reminded me pleasantly of samphire. Slightly disparate ingredients seem to come together effectively. Cheese: Sharpham cheese from Devon, chopped and mashed into a textured mousee, served with pickled and roasted onions and a green sauce. Very different from a traditional cheese course, and very very good. 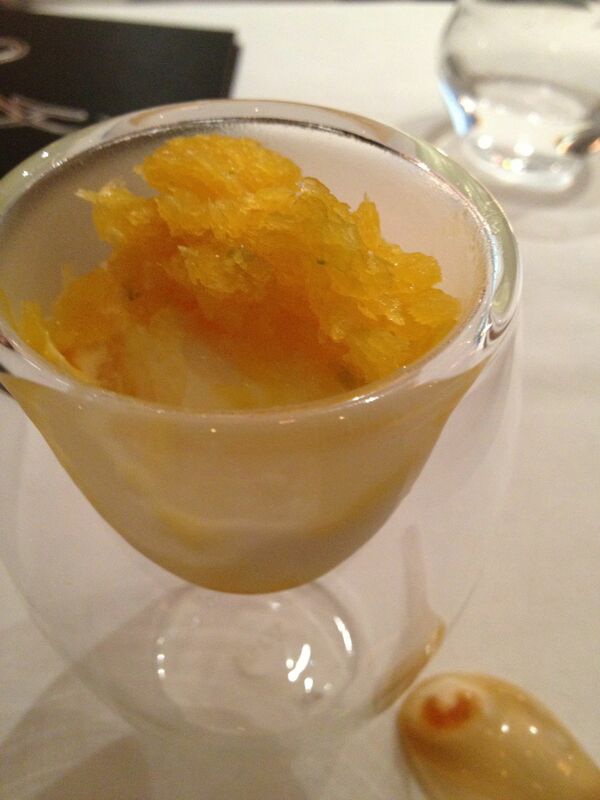 Dessert 1: mango mousse and granita. I loved it, but I love almost anything with mango. 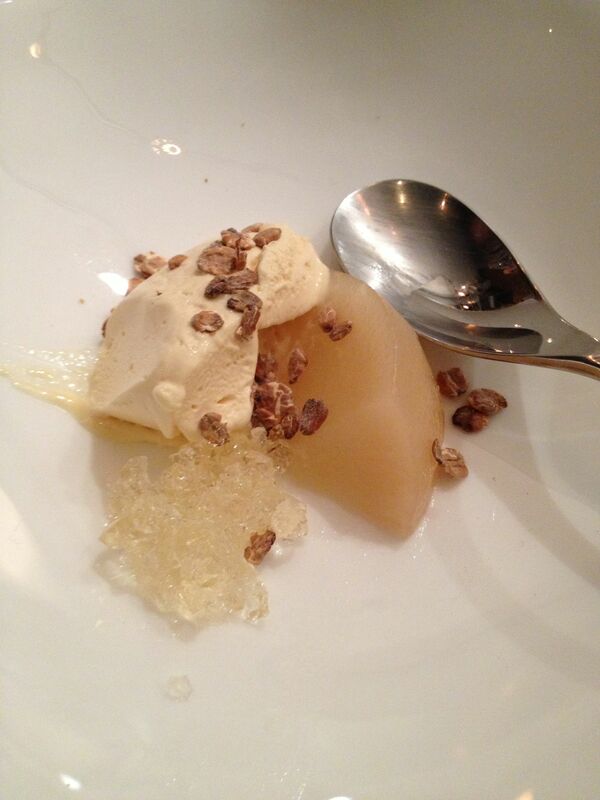 Dessert 2: caramelised pear, caramel ice cream, chopped up meat gelatin ! It sounds grisly, but the gelatin had an excellent texture and mild flavour, and the ice cream was outstanding. Wine: the standout was a 2008 Pierre Guillemot Savigny Aux Serpentiers. Perfumed haunting notes, very pale, very little tannin or fruit.